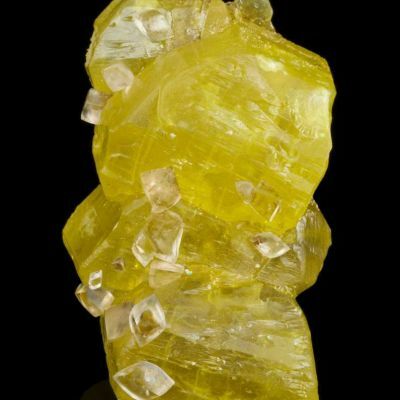 A large, doubly-terminated Sulfur crystal from a historic Sicilian locale and the John Ydren Collection. 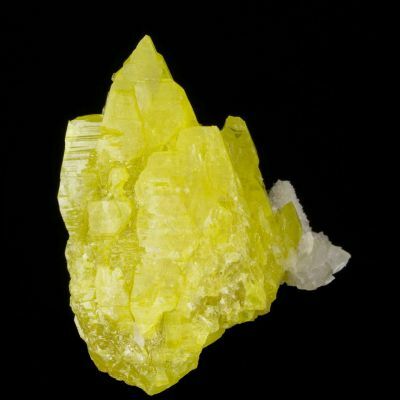 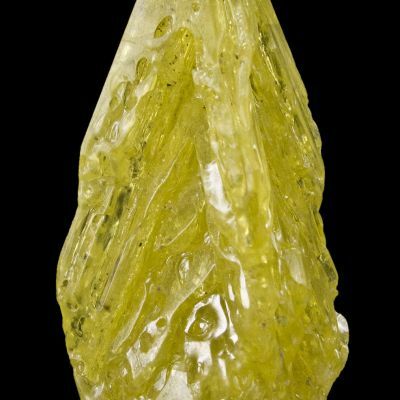 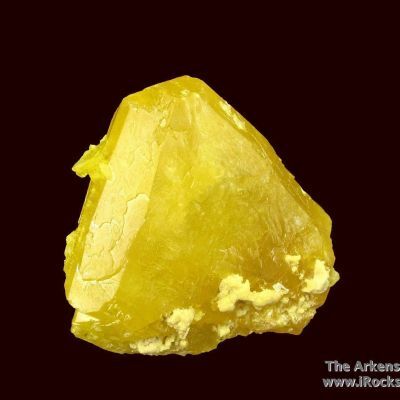 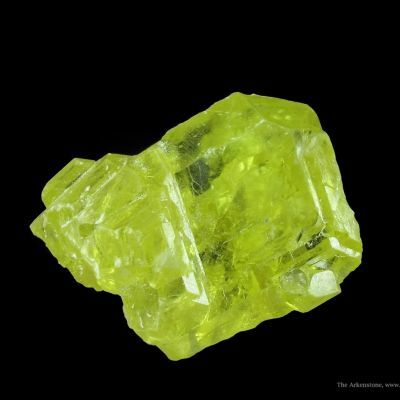 This sharp, lustrous, translucent, old-time crystal has rich, Sulfur-yellow color. 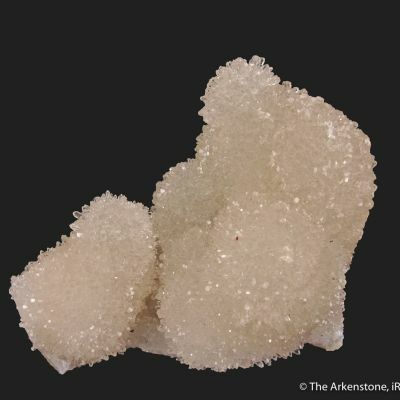 The embedded aragonite stringers add character. 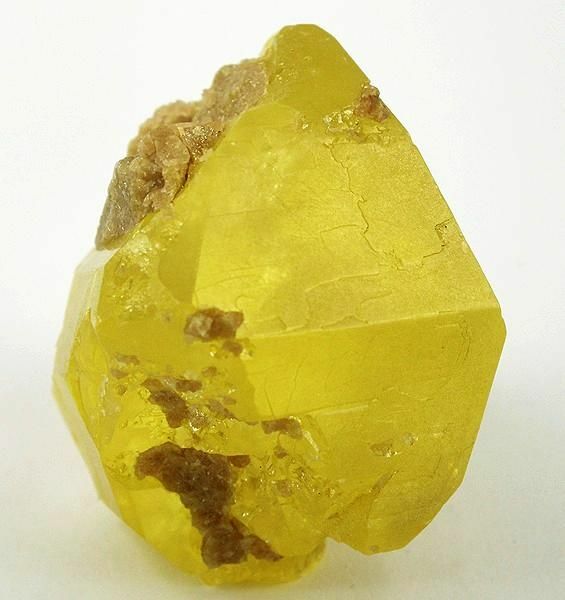 Classic and very old material.